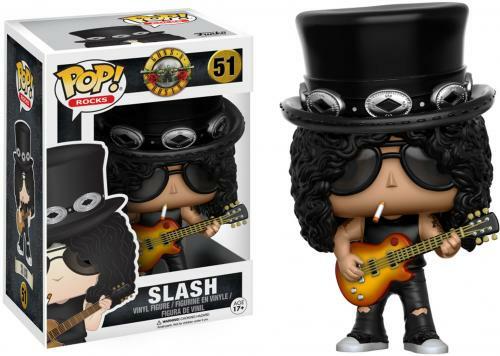 Slash Guns N Roses #51 Funko Pop! 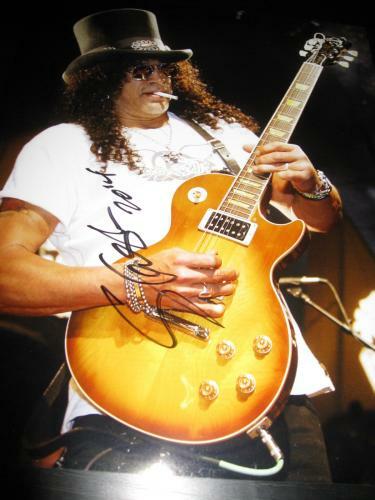 Slash is a rock and roll icon. 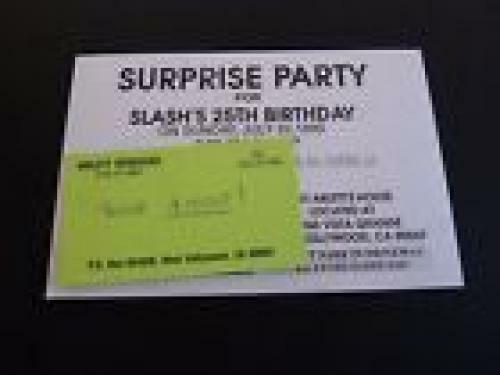 Slash is best known for being the lead guitarist of the legendary rock band Guns n’ Roses. 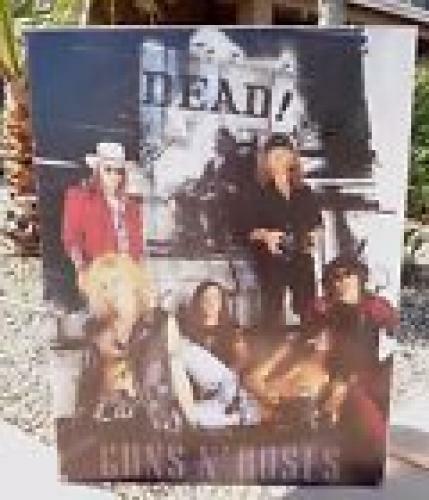 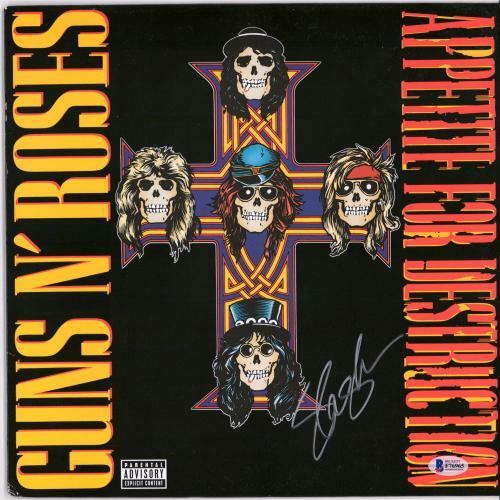 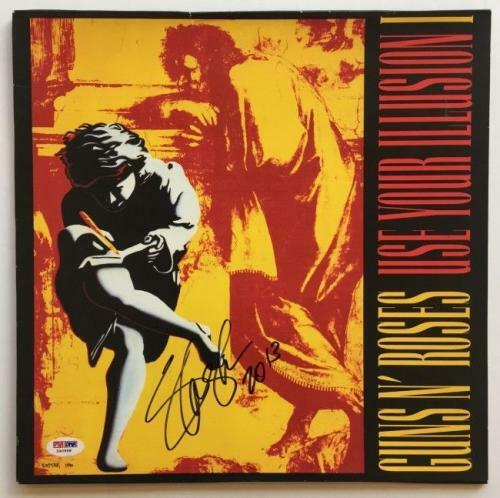 Guns n’ Roses burst onto the musical scene with the classic album Appetite for Destruction and followed that up with other hit albums including Use Your Illusion I and Use Your Illusion II. 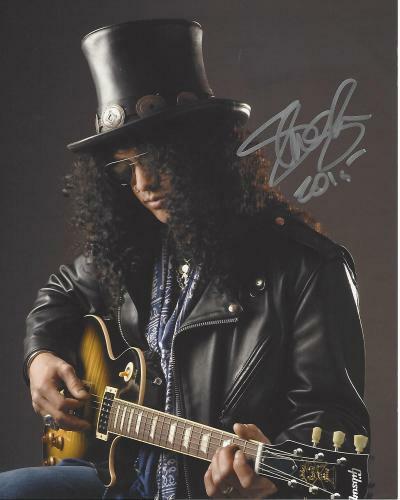 Slash has played guitar in some of the biggest rock anthems of all-time such as “Welcome to the Jungle”, “Paradise City”, and “Sweet Child o’ Mine”. 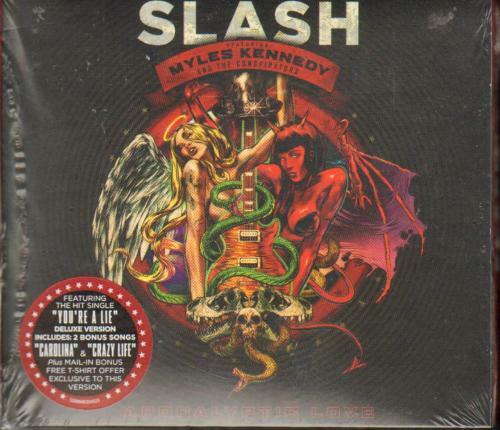 In addition to playing in Guns n’ Roses Slash has released solo albums and albums with Slash’s Snakepit, Velvet Revolver, and Slash featuring Myles Kennedy and the Conspirators. 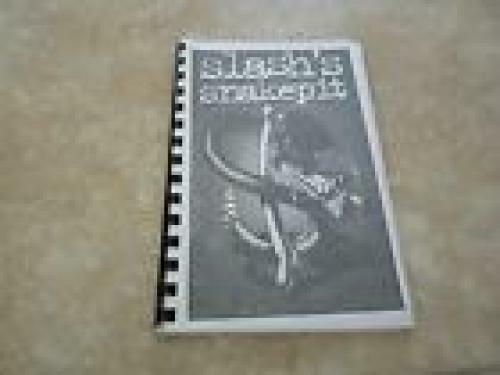 Over the course of Slash’s career Slash has sold millions of albums and is widely regarded among the most influential guitarists of all-time. 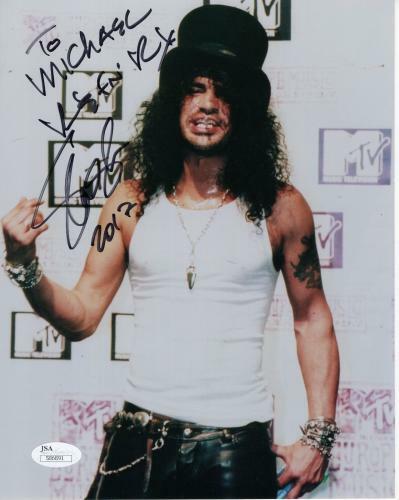 Slash’s look of wearing a top hat and sunglasses has become one of the most iconic looks in rock history. 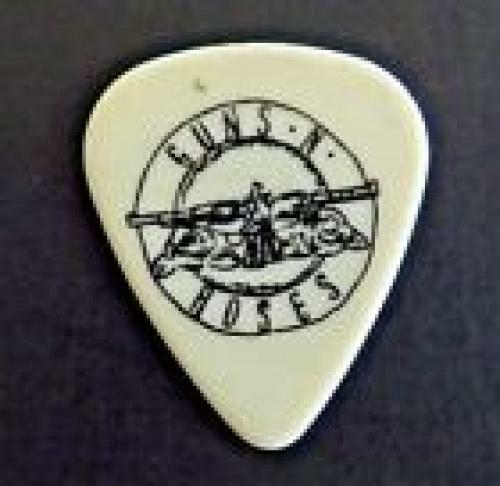 In 2012 Slash was inducted into the Rock and Roll Hall of Fame as a member of Guns n’ Roses and received a star on the Hollywood Walk of Fame. 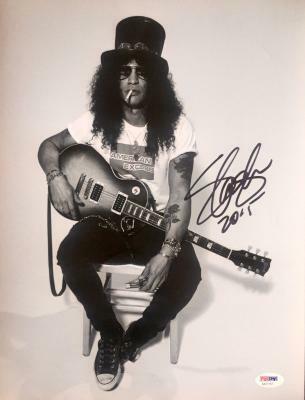 Slash was also named by Rolling Stone magazine as one of the 100 Greatest Artists of All-Time and Rolling Stone also named Guns n’ Roses one of the 100 Greatest Artists of All-Time. 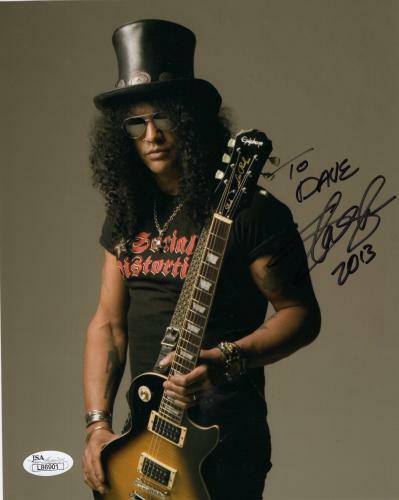 Slash is a legendary guitarist who will continue to influence future guitarists for many years to come. 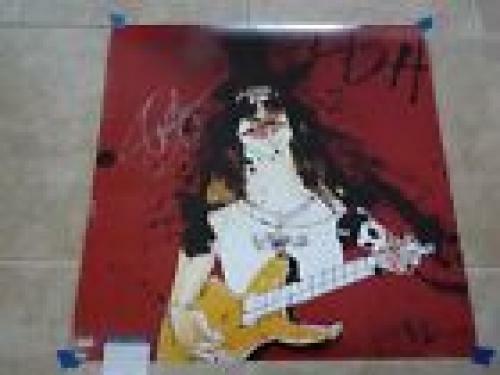 Signed Slash memorabilia and collectibles will not last long so purchase your autographed Slash memorabilia and collectibles as soon as possible. 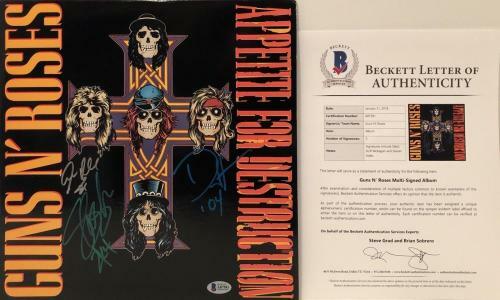 Signed Slash memorabilia and collectibles are rare and unique items that will look fabulous displayed in your home or office. 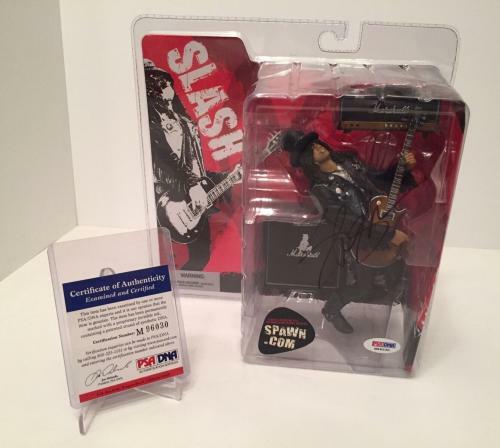 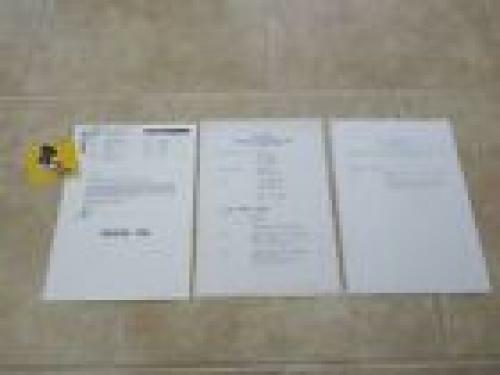 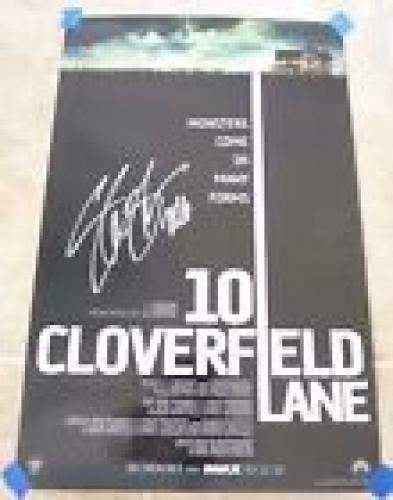 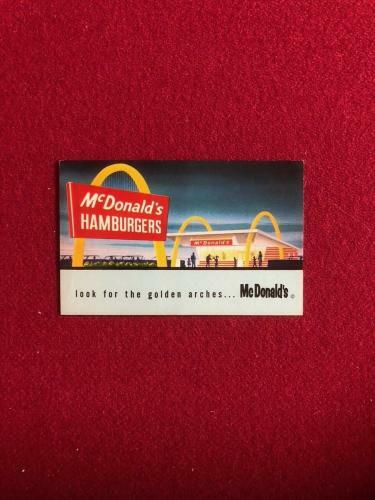 Autographed Slash memorabilia and collectibles will be excellent additions to your memorabilia collection and we guarantee that our signed Slash memorabilia and collectibles are 100% authentic. 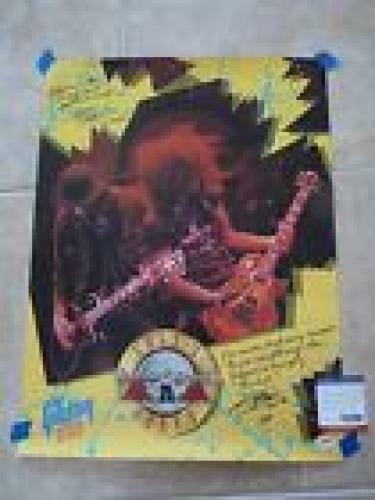 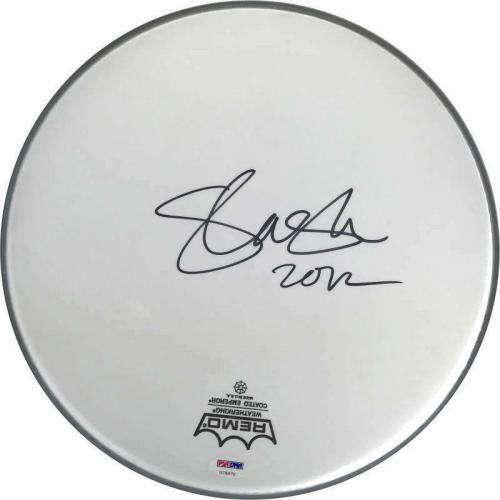 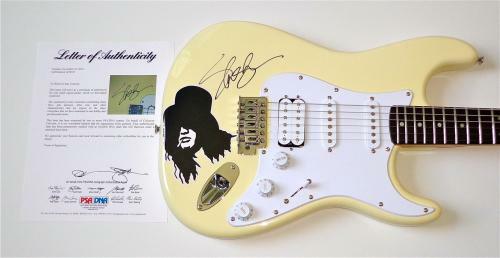 Shop our autographed Slash memorabilia and collectibles now before we sell out of our valuable Slash product offerings. 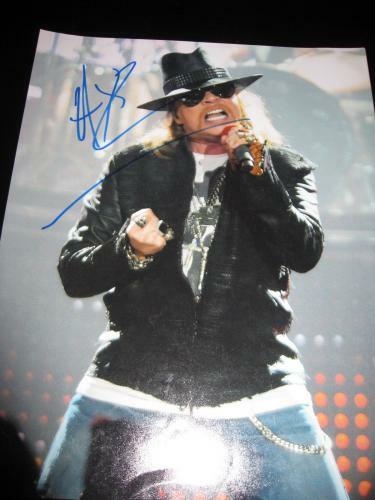 Slash Photos: Signed Slash photos will look outstanding displayed in your home or office. 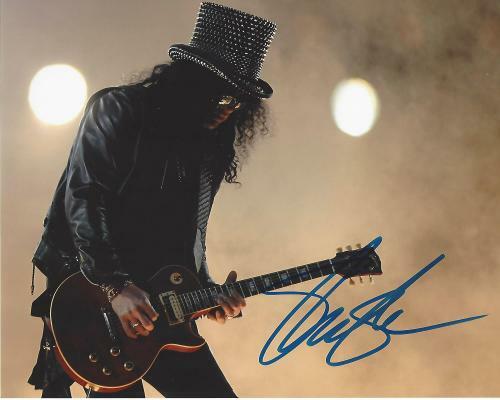 Our autographed Slash photos are rare and unique product offerings that will preserve iconic images of this Rock and Roll Hall of Famer for you to enjoy forever. 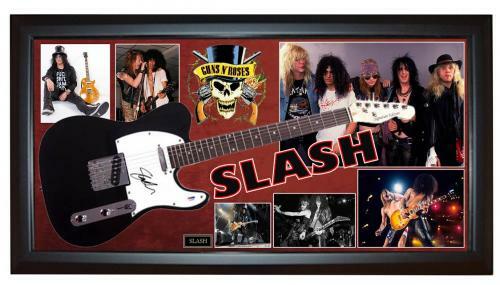 A signed Slash photo is also an awesome gift for anybody that you know who is a fan of Slash. 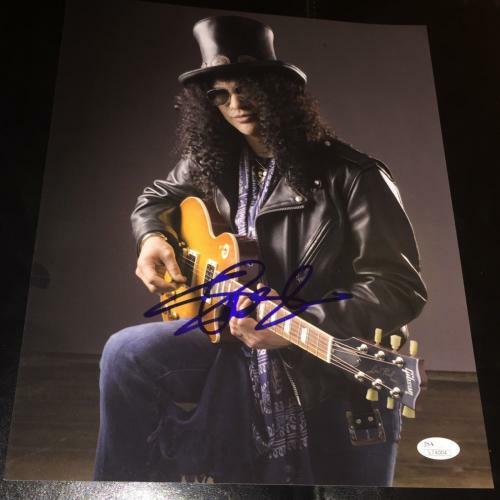 Whoever you give an autographed Slash photo to will be left at a loss for words and they cherish their authentic Slash photo until the end of time. 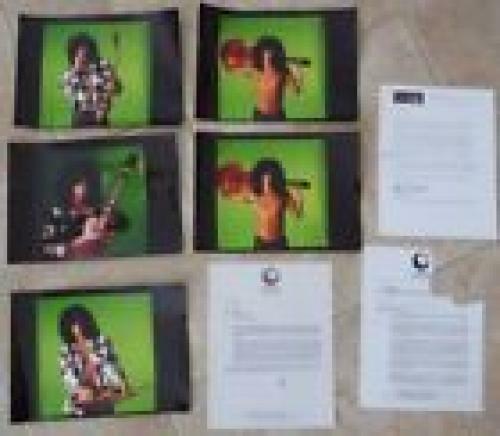 Purchasing a signed Slash photo is a wise decision because our autographed Slash photos are valuable investments that are rapidly growing in worth. 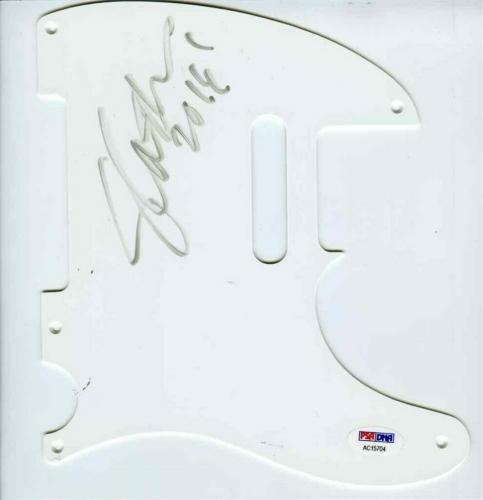 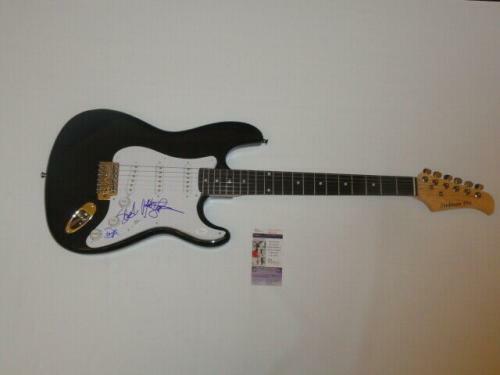 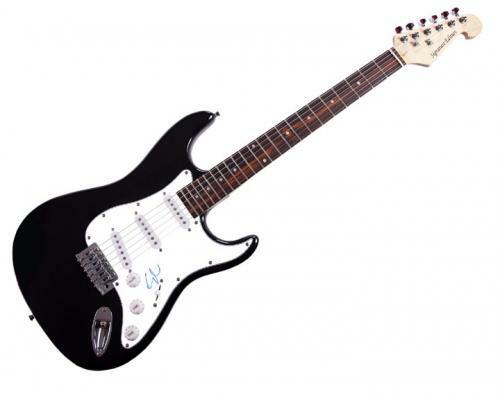 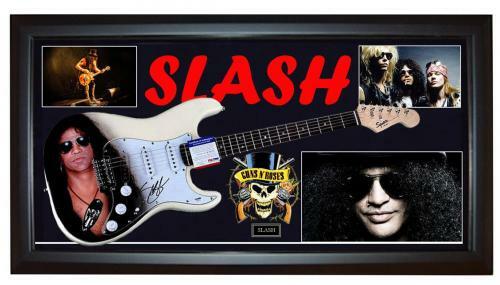 Slash Instruments: An autographed Slash instrument will be a fantastic addition to any memorabilia collection. 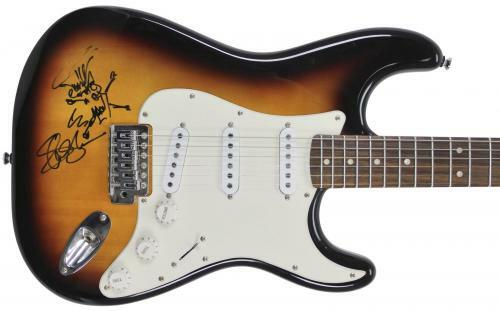 Our signed Slash instruments are rare and unique collectibles that will likely not be found at other retailers. 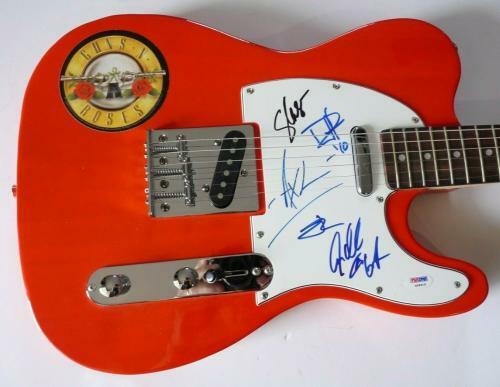 All of the autographed Slash instruments that we sell are guaranteed to be authentic, so have no concerns or worries when shopping with us. 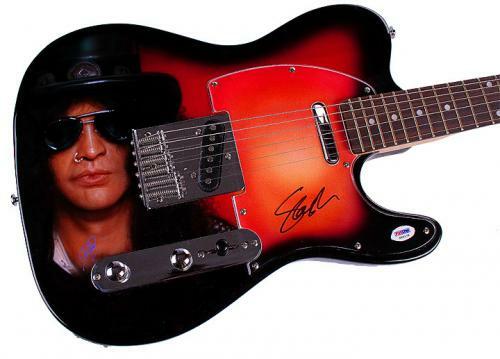 Wherever you display a signed Slash instrument in your office or home it will look unbelievable. 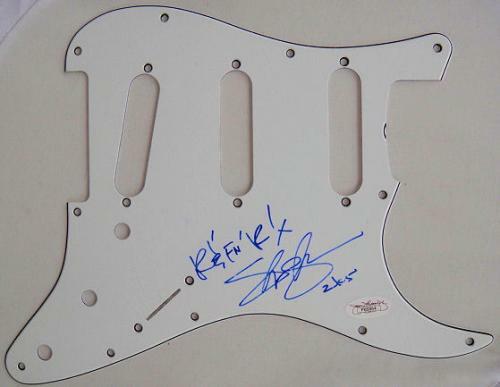 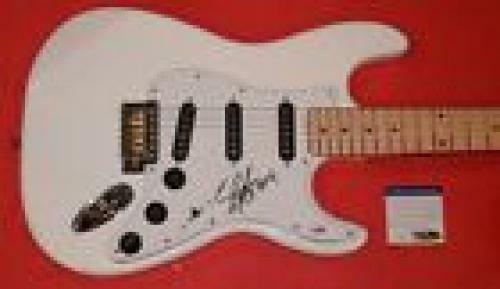 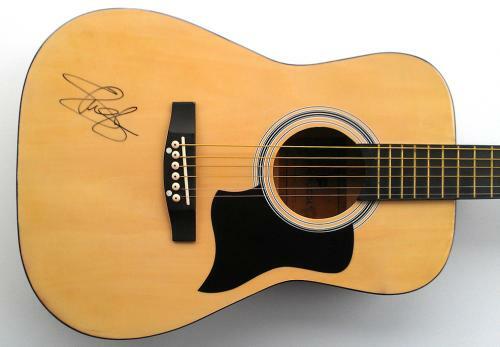 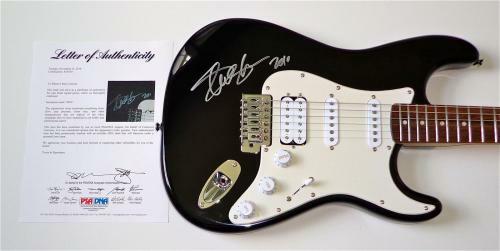 Purchase an autographed Slash instrument soon before our signed Slash instruments sky rocket in worth and value. 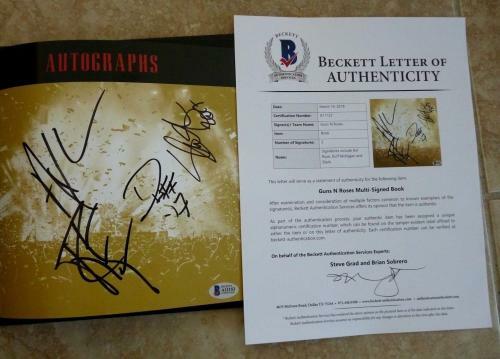 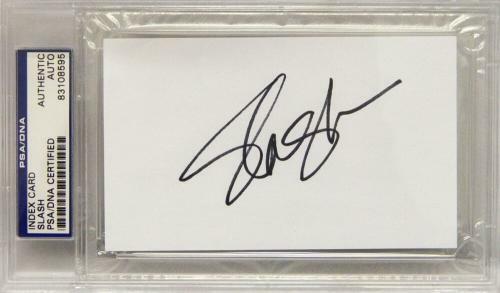 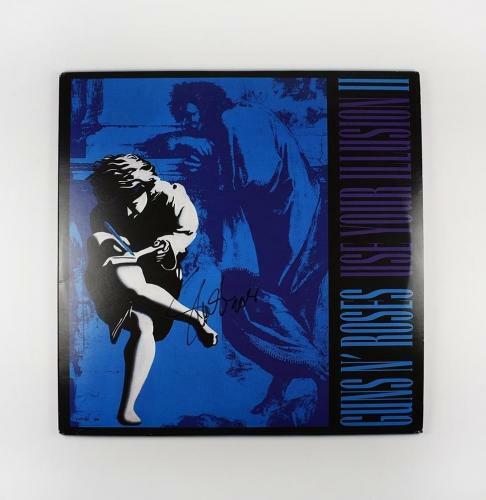 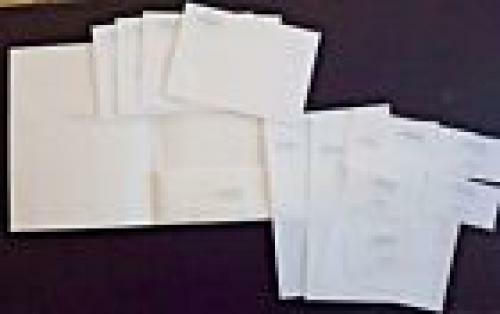 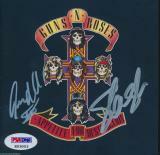 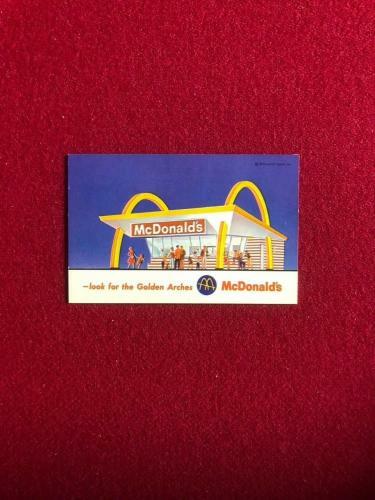 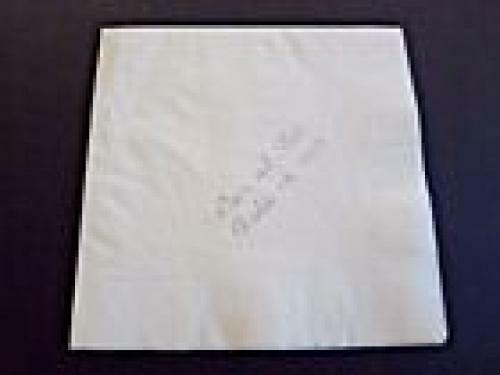 Slash Albums: A signed Slash albums will be a great addition to your memorabilia collection. 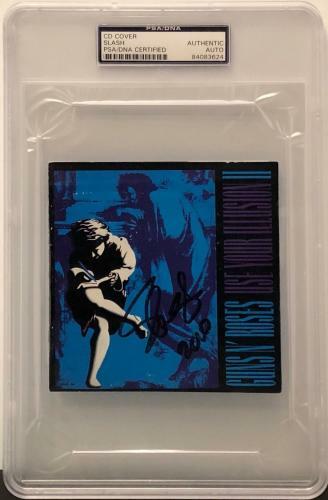 Our autographed Slash albums are guaranteed to be 100% authentic, just like all of the other memorabilia and collectibles that we have available for purchase. 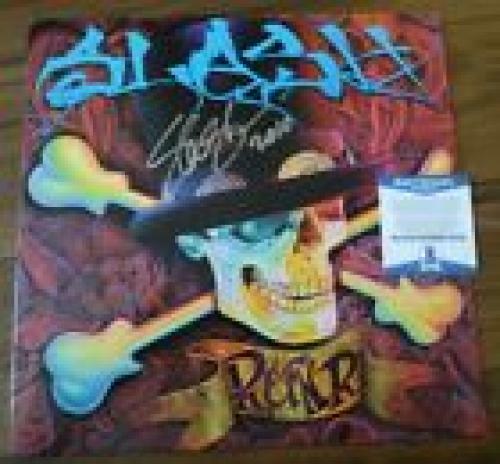 Signed Slash albums are rare and unique product offerings that will look outstanding displayed in your home office. 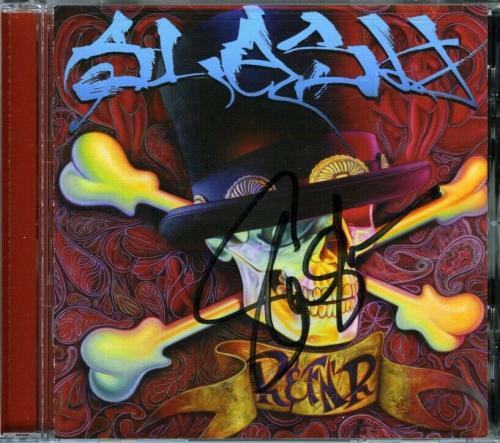 Autographed Slash albums are increasing in worth and value every day. 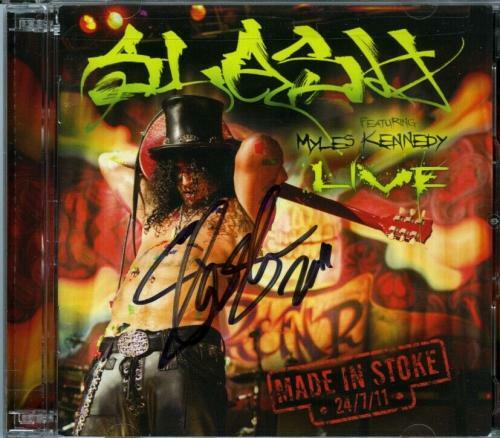 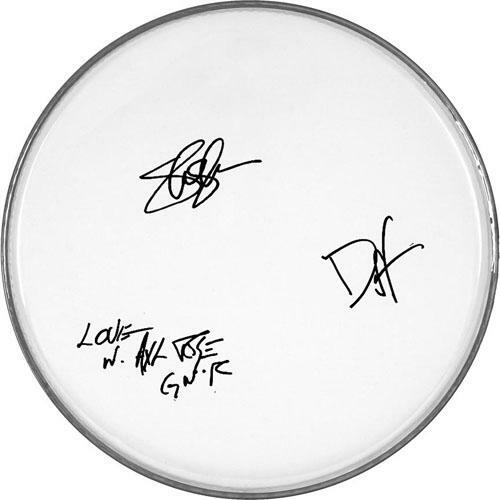 Shop our signed Slash product offerings today for your very own autographed Slash album. 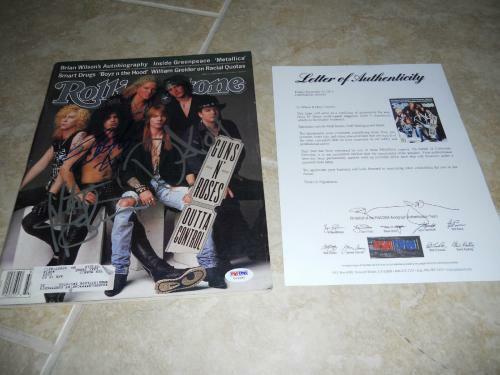 Slash Magazines: An autographed Slash magazine is an excellent gift for any of your friends or family members who are fans of Slash or Guns n’ Roses. 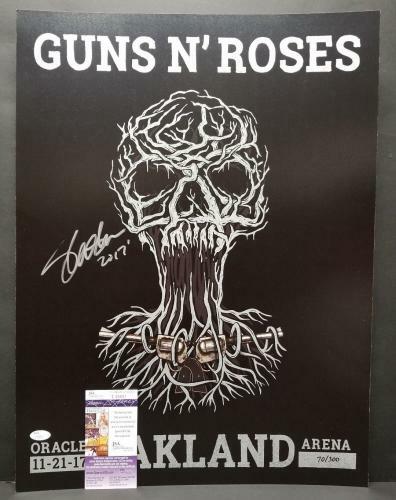 Your friends and family members will treasure their signed Slash magazine and will be eager to display their autographed Slash magazine in their home or office. 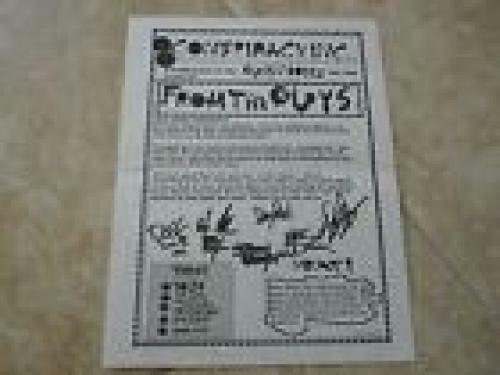 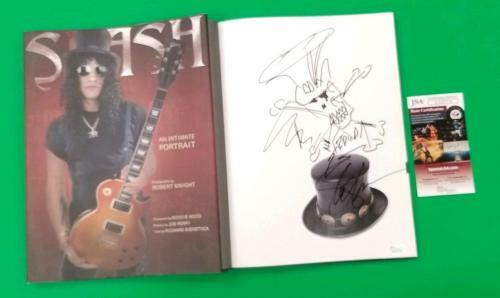 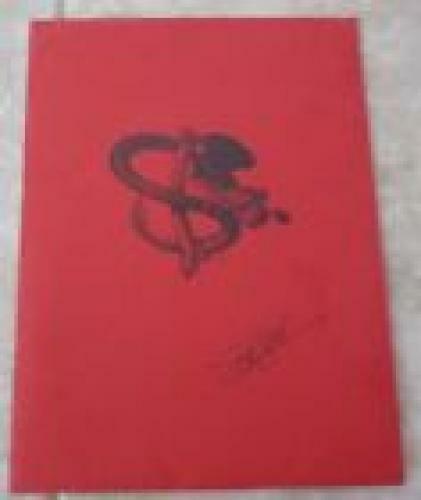 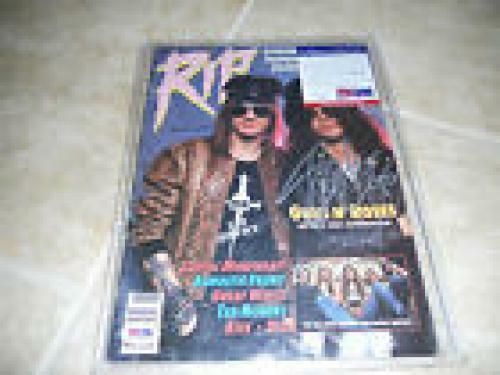 A signed Slash magazine will soon become one of their most prized possessions in their memorabilia collection. 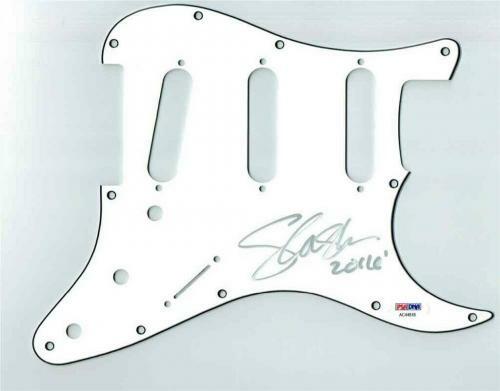 Autographed Slash product offerings are going to soar in worth and value in the near future, so make a wise decision and purchase a signed Slash magazine today for your man cave.